5 Ways To Write Characters That People Care About - Writer's Relief, Inc. In a previous article, we explored five ways to make your characters more three-dimensional. Once your characters are believable as living, breathing individuals, the next step is to make readers care about them. When readers are invested in the characters’ struggles and personal stories, they are much more likely to keep reading. Make Your Characters Need Something. One of the easiest ways to make your character more empathetic is to expose a vulnerability and establish a need to: save a dying mother, fall in love, crack the code, etc. The need can be as simple as “get to work on time” or as complicated as “save the world.” But it will encourage readers to empathize with the character and root for his or her success. Example: Joe struggles through failed relationship after failed relationship in an attempt to find his soul mate. Make Your Characters Take A Stand On Important Issues. A character with strong convictions and a cause to be passionate about will intrigue readers and earn their respect. If your audience is interested in your character’s goals and respects your character’s convictions, they’ll be more inclined to follow the story line to its conclusion. Example: Leslie stands up for women’s equality in the workplace at a local public forum. Make Your Character The Underdog. Nothing piques the interest of the reader more than the inspirational story of a hero battling against seemingly impossible odds, struggling to find success under the bleakest of circumstances. Who wouldn’t cheer for the little guy? Think David vs. Goliath. Example: Despite being an amateur boxer, Andrew is nervous but optimistic before his match against the world champion. 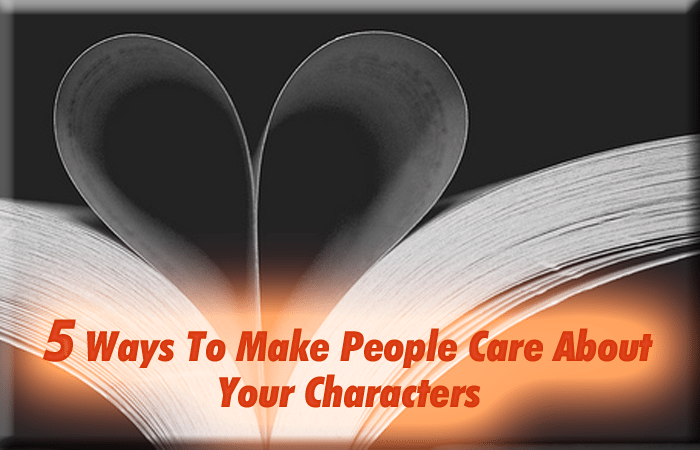 Give Your Characters Idealistic Qualities. Readers love characters that embody qualities and ideals they also aspire to. Even if your character is a scoundrel, make him or her a soft-hearted scoundrel. Characters that exemplify the best of humanity entice the reader to stay engaged and keep reading. Example: Dan may be a pirate, but he will use his ship to run the blockade and bring food to the starving orphans. Give Your Characters Formidable Foes. Heroes are only as good as the villains who oppose them. Giving your main character adversaries who present challenging obstacles will bring out the best (and sometimes the worst) in your characters. As daunting as that sounds, the journey to overcome these obstacles will further endear your characters to the reader. Example: Iago has created a web of lies designed to test Othello’s resolve. Creating characters that evoke empathy in the reader can be challenging, but these five methods will ensure that your efforts are successful. And keep in mind that empathetic characters don’t always have to be likable. Try your hand at writing an unlikable (or even villainous) character that exudes empathetic qualities. Think Patrick Bateman in American Psycho or Severus Snape from the Harry Potter series. QUESTION: We know there are more ways to make characters empathetic. What would you add? ← Is Your Short Story Publisher-Friendly? 8 Ways To Make It Easier For Editors To Say YES! Thanks for the tips, and for the emotional support, which is an important requirement of aspiring writers. Really great article. I’m working on a novel, and needed some help on how to make the reader care about my lead character more. This blog nailed it. I think I’ve done this with my character Troy Jones, a 16 yr old kid with dreams of becoming a successful rapper to help his mom who works three jobs. He’s tough but kind, determined yet insecure. Thank you for the awesome advice! Be bold or subtle in unearthing a character’s haunting childhood memory that now plays a role in their adult behavior. Especially appealing for creating vulnerability in a male character, which enhances the readers empathy toward him. A common character can be made heroic;. Make an outsider your main character, central to the action. The views 0f an outsider can be refreshing. Coincidence can get your character into trouble but never out of it! This was an informative article. Readers like real characters that they can relate or have something in common with. It is about the emotional connection. I’m writing a nonfiction book…so the main character is me. Thank you for the information. A great post about empathetic characters, I think you’ve covered it! I think my latest protagonist ticks all the boxes. Phew.